We offer a comprehensive range of courses to teach our customers how to use all of the different EFACS/Eagle modules and supporting technology. These sessions with our expert Course Trainers ensure that you get the maximum benefits from our solutions. Once initial training has taken place, our implementation team can help to map EFACS/Eagle to your company’s business processes, ensuring the smooth and efficient take-on of the new business system. In July 2018 – Exel’s Classroom Training facilities in Nottingham, have been expanded and revamped. Due to an increase in demand the Exel training facilities at Bothe Hall in Nottingham have just been extensively refurbished. We have increased the capacity from 7 to 9 people and replaced all of the desks, chairs and PCs to provide a much more modern and stylish learning environment. 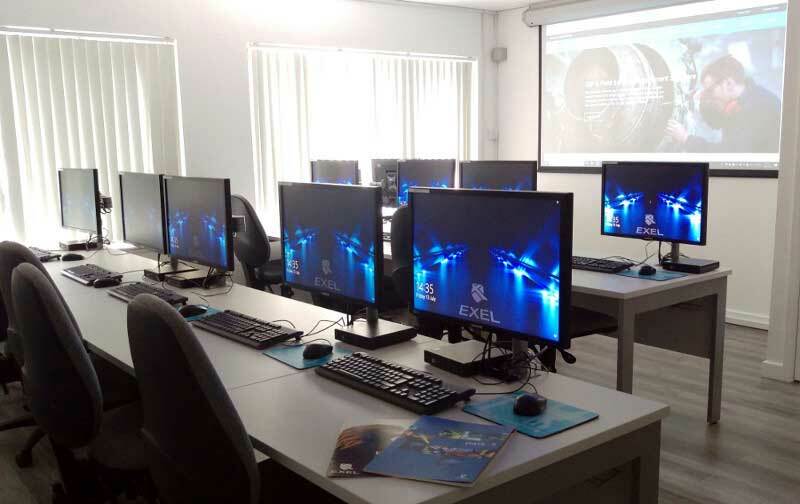 Exel run Classroom Training courses on the full range of EFACS modules and technologies on a bimonthly basis, so that new customers can cover the whole range of topics within a two month period. Existing customers who roll-out new modules or need to retrain due to staff changes can book onto individual courses as required.